A ranking system by "The Business Journals" ranks public universities in the nation using 6 major criteria" Selectivity, Advancement, Prestige, Cost, Diversity, and Community. FIU ranked #1 in our conference C-USA (minus Rice, which is private) overall. FIU did excellent in Selectivity (5 out of 5 points). USF is ranked #63 and UCF is #83. FAU is not ranked among top 250 in this ranking system. I bet if we changed the name to Miami State we would jump to the top 25. 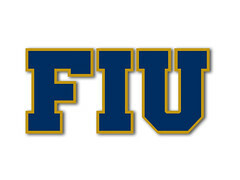 FIU...I thought that was a for-profit school in Boca Raton. That's a public university? I believe FIU had the top ranking in C-USA. Let's continue to improve. Yes, #1 in C-USA, but not where we want to be overall. You're probably right, changing our name to something that's much more recognizable and more descriptive of our university wouldn't help at all. After all, accepting the status quo is what our school is all about and why its been able to achieve what it has up to this point.